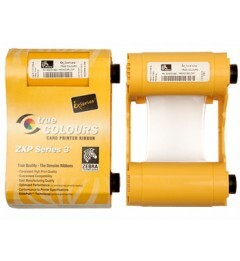 (Yellow, magenta, cyan, monochrome, overcoat, monochrome) Yellow, magenta and cyan are the primary print colors for cards. The three colors are combined in varying degrees to make a full spectrum of colors. 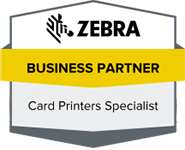 The ZXP Series 3 printer is designed to work only with Zebra True Colours ix Series high-performance ribbons which are specially formulated for high print speed and high print quality.